App version of our popular Hit the Button game. Available on iPad and Android. 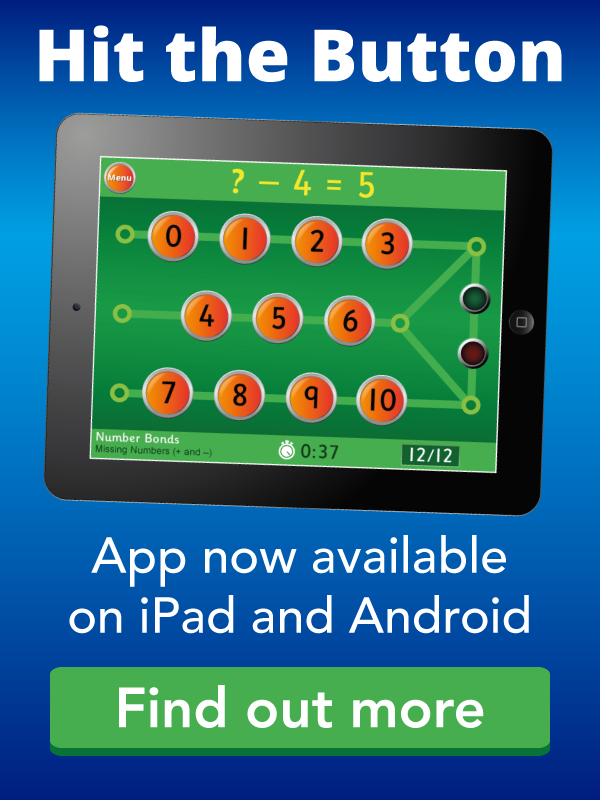 Topics include number bonds, times tables, division, doubling, halving and square numbers. Covers up to 12 x tables. Fantastic for improving your mental maths. Complete the loop against the clock. All types of calculations. You play the game similar to dominoes. NB The 75% section is faulty. Set the time on the analogue clock using the hours and minutes hand. This will really test your knowledge of telling the time! Go down the Time Tunnel and complete a variety of time games such as stopping a timer when you think a certain time has passed, completing a puzzle within a time limit and more. A first class site for primary aged children on road safety. There are educational games to play and pictures to colour. Resources for teachers and parents too.